For circuit breaker, but not open. Check if the programmable output of the controller is configured "break-brake output" and its wiring. Check the circuit breaker and its wiring. 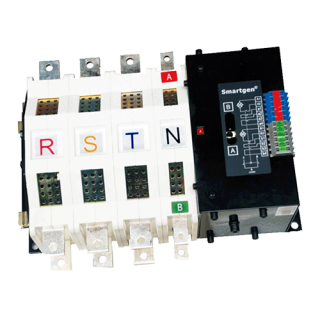 For circuit breaker, close, open continuous motion. Check the close time of controller, break-brake time and make sure the circuit breaker is continuous or pulse signal. 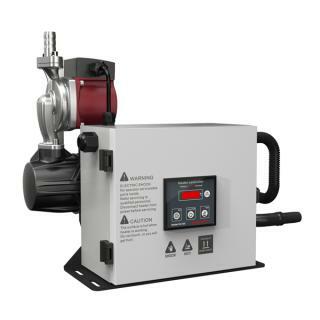 Check whether the circuit breaker undervoltage tripping electromagnet suction is in good contact. For circuit breaker, but not closing, controller to "power close failure." Check if programmable output of the controller is configured with "power close" and its wiring. Check whether programmable input port of controller is configured with "power closing input." Check the breaker auxiliary contact of "power closing input" is grounded. Controller to "no power alarm stop". Check if genset is generating electricity. Check whether there is voltage controller of power sampling end and its wiring. Check whether there is the generator set switch. Have downtime electromagnet unit, electrical not stop. 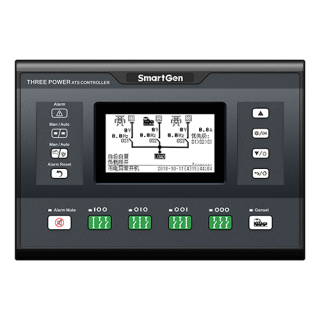 Check whether the programmable output of the controller is configured to "get electricity shutdown control". Controller power supply automatic stay in automatic mode. Check whether programmable output of the controller is configured to "system in the automatic mode. Check whether controller is in automatic position. Whether control programmable input port is configured as "remote start", action and check the wiring. Whether input port is configured as "automatic start is prohibited". Genset can not enter into high-speed, controller to "power low speed warning stop." Check the controller of the idle speed control output is in the idle time after disconnection. Check the electronic governor is in faults condition and wiring. Check whether "rated speed" of electronic governor is too low. 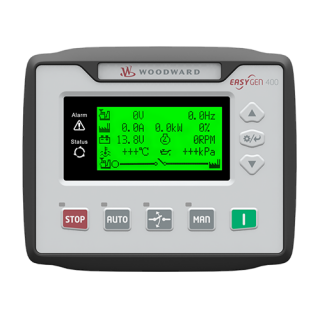 Genset without idle or direct overspeed, controller to "power overspeed alarm stop." Check whether the programmable output of controller is configured. Make sure it is electronic speed or mechanical stay wire speed. Check whether there is an external electronic governor faults and wiring. Check controller whether the idle timer is "0 s". Adjusting "rated speed"of electronic governor, counterclockwise adjust potentiometer reduces speed. start without speed, display"0rpm" or no display. Check speed sensor and its wiring, check the starting conditions of controller.